Start the day with a rich and balanced breakfast with a wide variety of international and local breakfast specialties from cold selection, hot dishes from the live station and stimulating breakfast beverages. 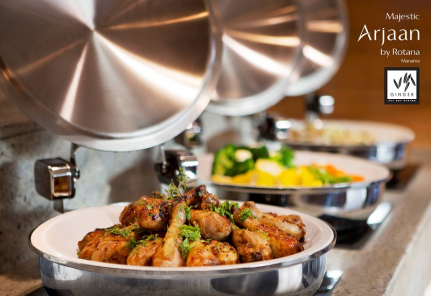 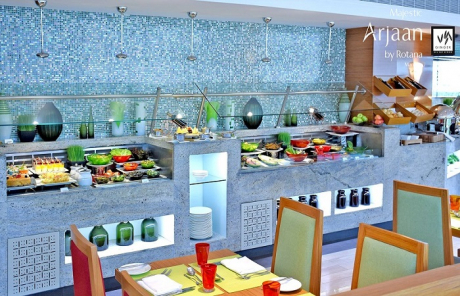 Buffet Breakfast at Majestic Arjaan by Rotana is served in their Ginger All-day Dining. 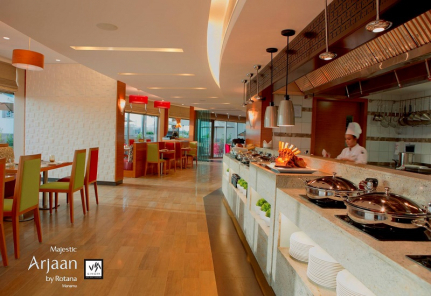 Call Hotel for booking, give your name and enjoy the breakfast !!!! Majestic Arjaan by Rotana is a first class property that offers a spectacular and luxurious 128 suites conveniently located in Busaiteen District, opposite King Hamad University Hospital and RCSI, 2 kilometers away from Bahrain International Airport and minutes’ drive to Bahrain World Trade Centre, Bahrain Financial Harbour and the Bahrain City Center Mall. The hotel has an easy access to Sheikh Isa bin Salman Highway and the Saudi Causeway in addition to the major city shopping Centre. 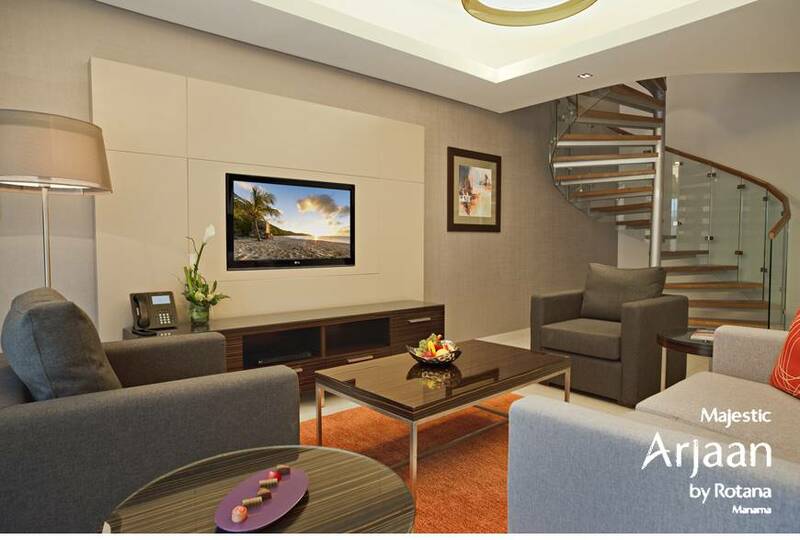 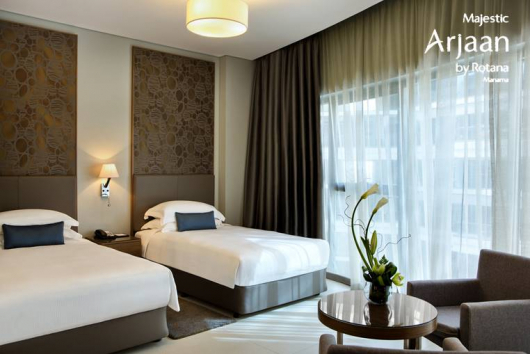 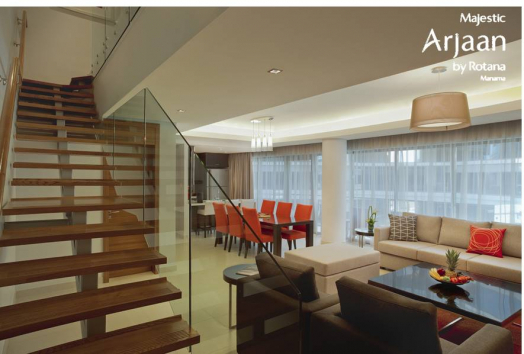 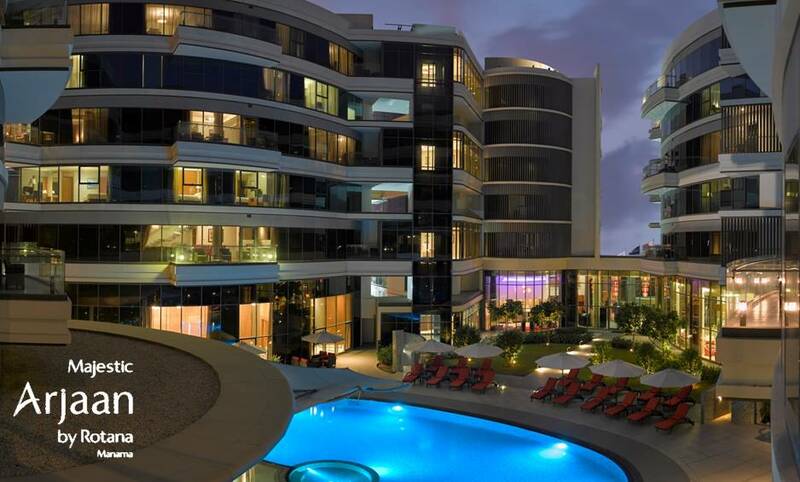 Embrace new experiences at Majestic Arjaan by Rotana with its stunning studios, 1, 2 and 3 bedroom suites offering optimal space and developed as duplexes having both short and long term guest in mind. 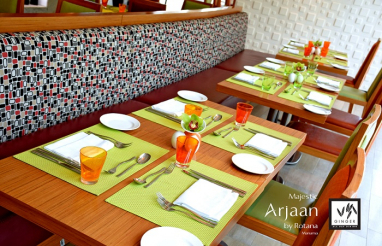 Majestic Arjaan by Rotana also boasts three specialized food and beverage venues to suit every guest’s palate and dining needs. 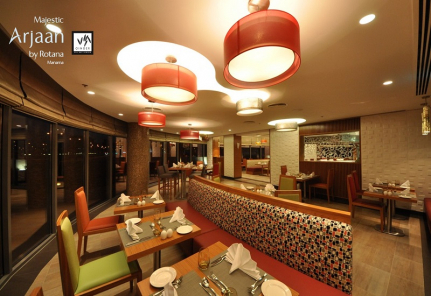 The hotel features the latest high-tech facilities including fully-equipped meeting rooms with the most up-to-date audio-visual equipment and with the delivery of impeccable personalized services that meet the requirements and expectations of its guests either on business travel, relocation or those on leisure vacation. 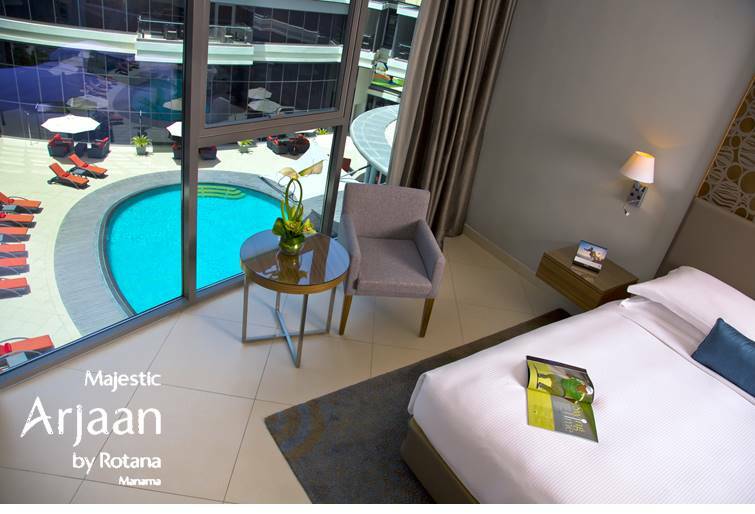 The hotel provides state-of-the-art amenities such as an outdoor temperature controlled swimming pool, Kids’ Zone, modern cardiovascular and weight training equipment as well as sauna and steam rooms.